That intoxicating sense of anticipation of arriving not only into a new country for the first time, but also a new continent engulfed me as I set foot in Ecuador. 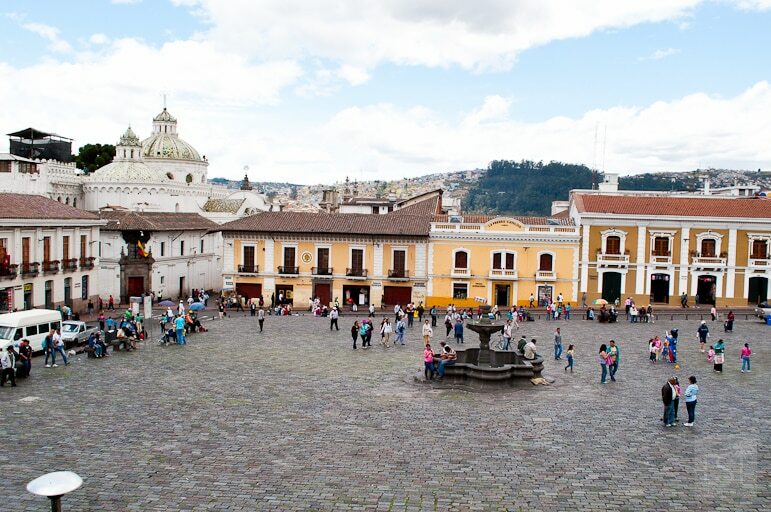 After a twelve hour flight from Madrid with LAN Airlines I was excited to be in Ecuador’s capital city – I had been assured there was much to see and so many things to do in Quito. Quito has a long and rich history and is acclaimed for having the best preserved historic centre in the whole of Latin America. The city was declared a UNESCO Heritage site in 1978. Built on the site of a former Inca settlement, Quito stands almost 3,000 metres above sea level which can make breathing a little heavy. My solution was to walk at a gentler slower pace, and it was the perfect way to take in the sights. Quito’s a bustling city of two million people, full of historic and characterful buildings, and a fair amount of traffic on the roads. By comparison, the old part of the city is a world of cobbled streets, baroque churches, colourful, traditional shops and entertaining street hawkers. 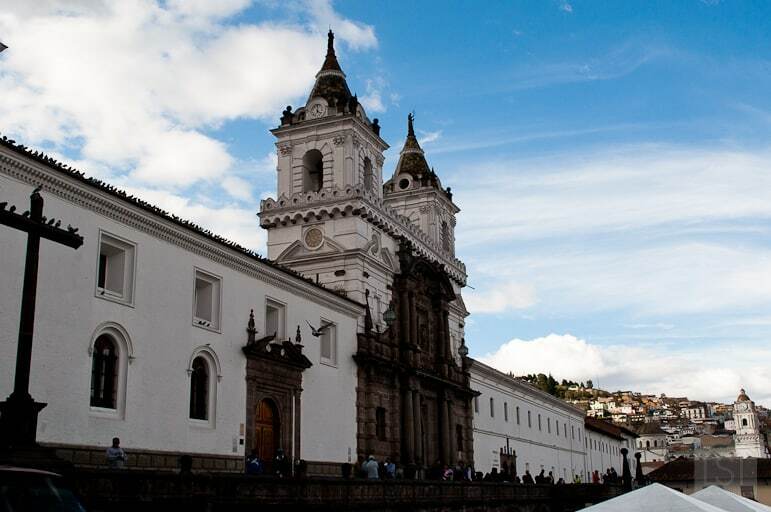 Quito proudly revels in its history and Catholic culture – it’s a city resplendent in museums and churches. 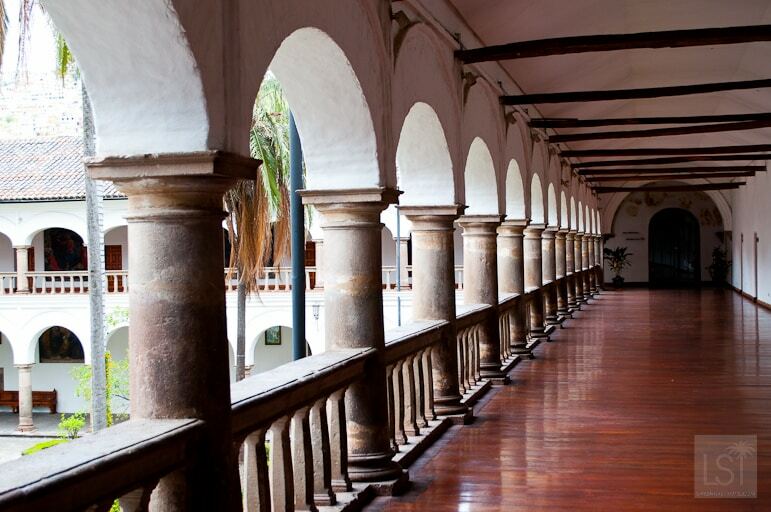 As you would expect in a capital city, there are many things to do and see in Quito. 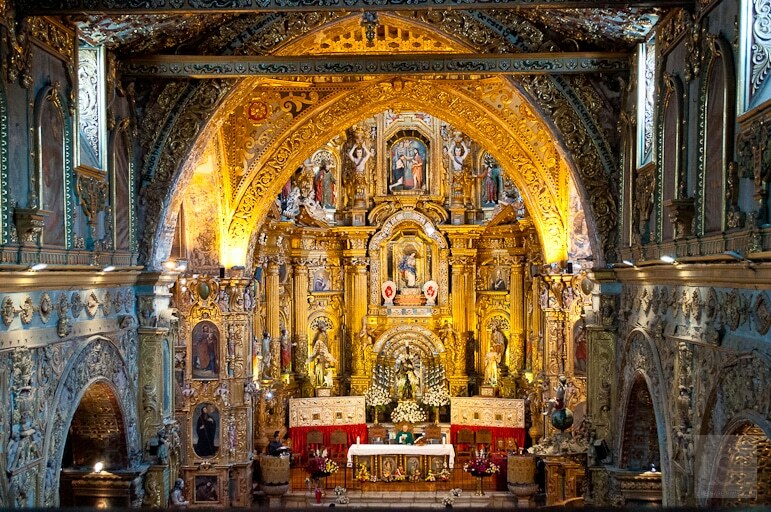 Two of the most prominent and popular places to visit are the Church of La Compañía and the Church of San Francisco. Both have wonderfully lavish interiors and facades. The noble 16th century Church of San Francisco covers a vast three hectares of land and dominates the historic cobbled Plaza San Francisco which sits directly in front of it. The square is a lively meeting point for locals, and hosts many events and concerts. The Church of San Francisco has an imposing backdrop – the Guagua Pichincha volcano off in the distance. The volcano, while active, has not erupted since 1999, but its presence is a brooding reminder of the power of Mother Nature. 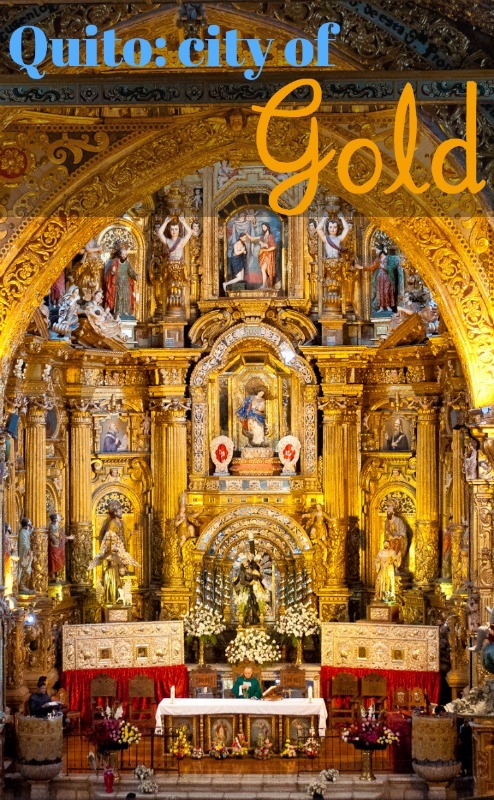 The nearby Church of La Compañía, which took 160 years to complete, is lavishly decorated with gold leaf. Stroll around this beautifully ornate church and you’ll be shrouded in the rich golden glow of its walls, ceilings and altars. It has to be one of the most impressive churches I’ve visited. On the other side of the city is the new part of Quito which stands in stark contrast to the old. This area is modern, cosmopolitan in outlook and design, and gives the capital a very different vibe. In both the new and old parts of the city there are a plethora of restaurants. We dined at the very modern Lua, in the new part of the city. 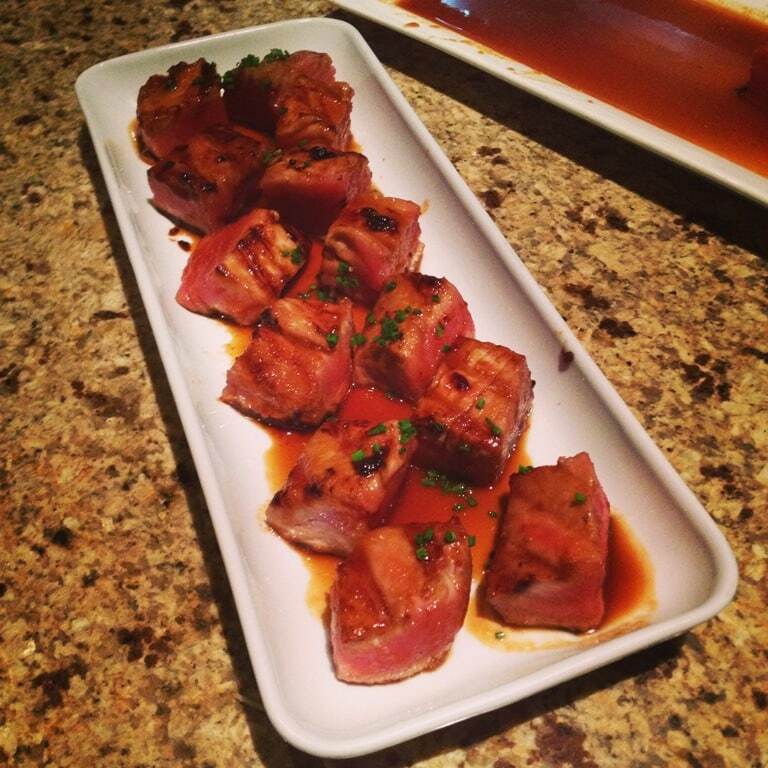 The chef, Alexander, grilled me a truly mouth-watering marinated tuna glacial and I tried my first ever piranha fish, which was surprisingly tasty. 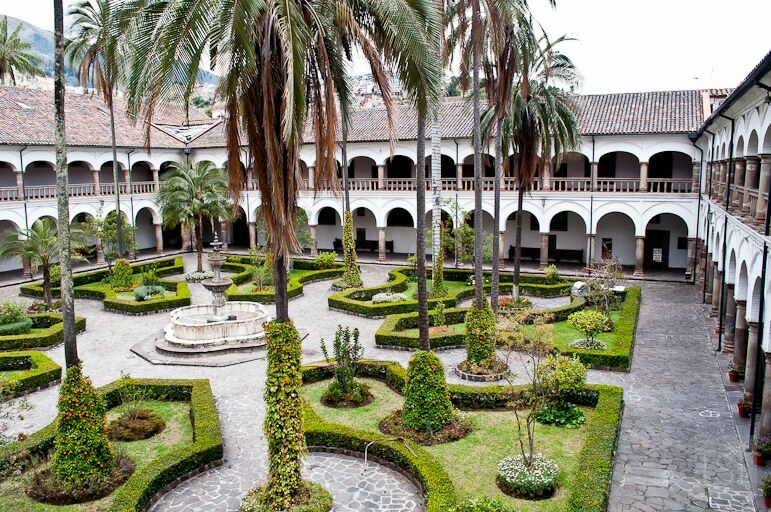 In the old city we ate a delicious lunch of Ecuadorian dishes at the 150-year-old San Agustin restaurant, and dined one evening at Cuchara de San Marcos, a vegetarian restaurant. Here the food was good but it was the quirkiness that really appealed to me. 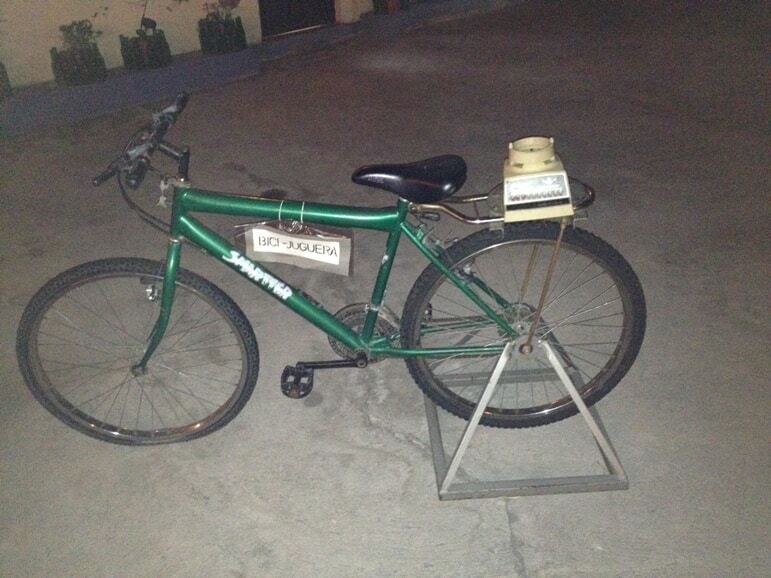 The restaurant has a juice bike, you load up the back with fruit and peddle away to make your own healthy juice drink. 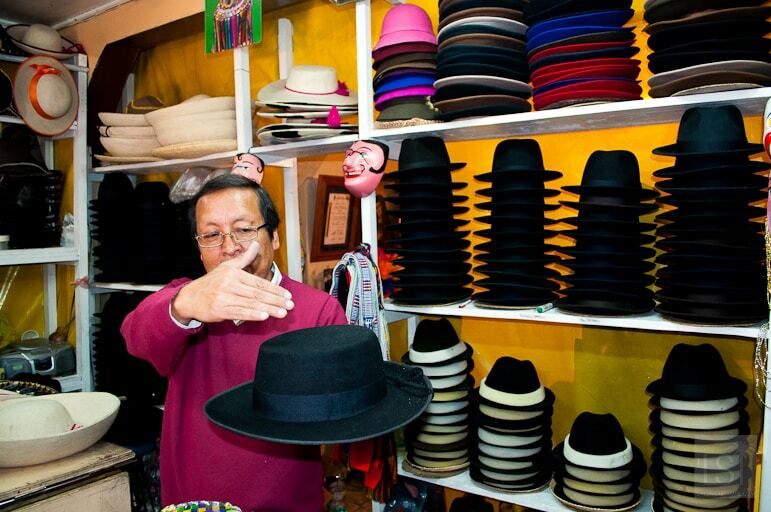 One intriguing feature of Quito for me was the abundance of hats worn by so many locals as they went about their daily lives. From the flamboyant to the jovial and the practical, they were always interesting. 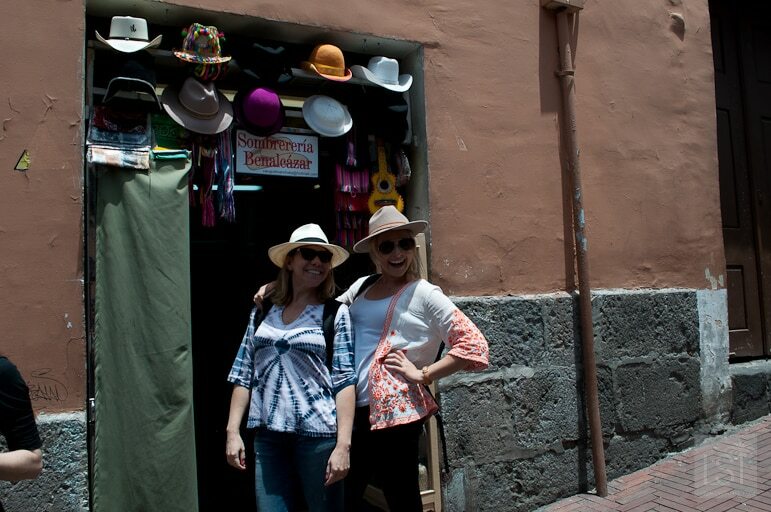 We visited a local hat shop, the Sombreria Benalcazar, and I was astounded by the enormous range of head gear available. 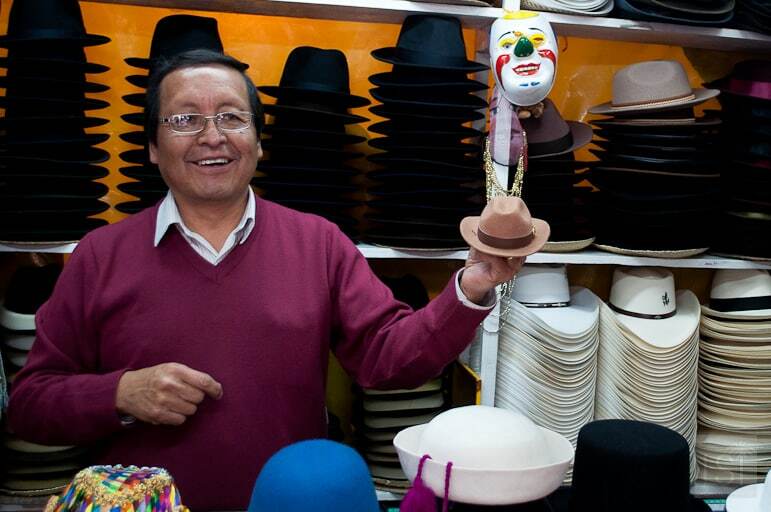 The Ecuadorians do seem to love a good hat. 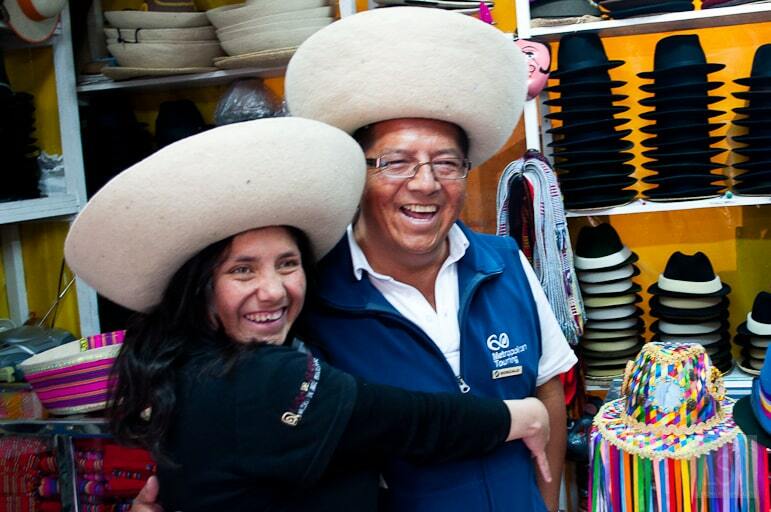 In fact, it’s a little known fact that the Panama hat was invented in Ecuador. Ecuador also has a deserved reputation for producing world-class quality chocolate. It’s the country’s main export and regarded as ‘black gold’. 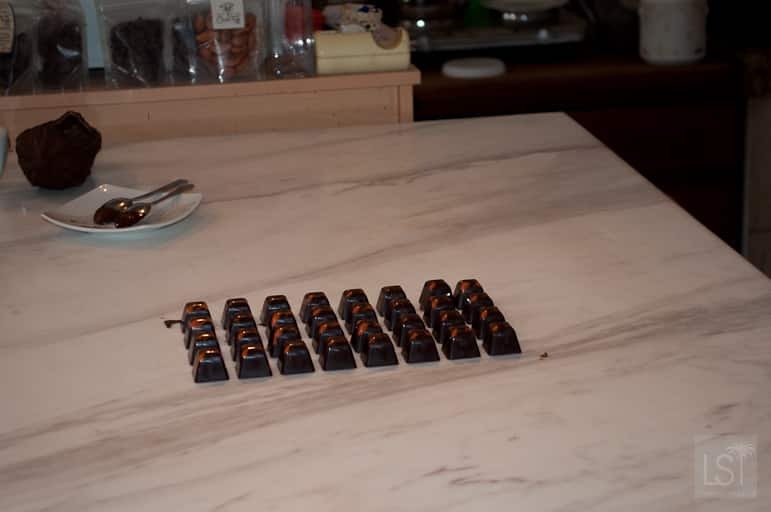 We visited Chez Tiff, a renowned chocolate-maker, where Christina Indemihi and her father Bertrand, showed us how to make the most delicious looking chocolate truffles. They also provided a fascinating presentation all about Ecuador’s chocolate production. I’m a chocolate lover – happily scoffing bar after bar at home – but I’d rarely considered how it was produced. But the presentation took me beyond my love of milked-down cocoa and gave me an appreciation of Ecuador’s greatest export. 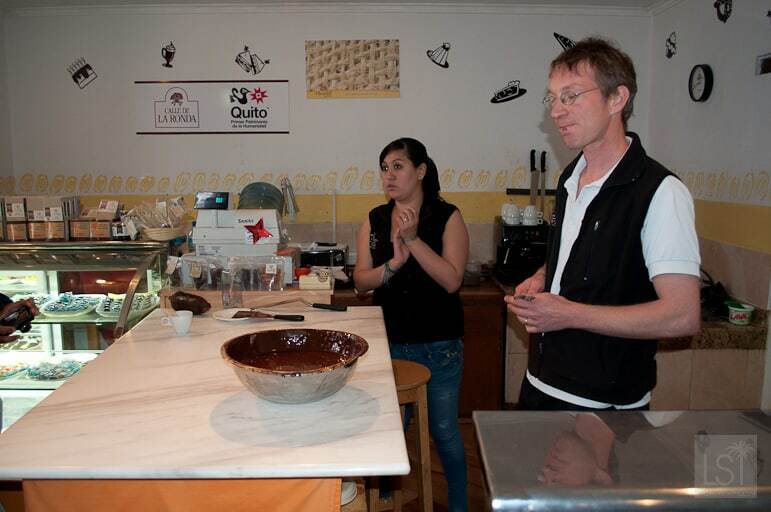 Visiting the chocolatiers at Cheztiff is one of the best things to do in Quito. And as a renowned chocoholic I can confirm that their truffles are divine. 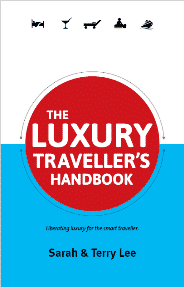 I’m grateful to Metropolitan Touring for expertly guiding me around Quito, and pleased to say they are offering our readers a great special offer to visit Ecuador. Special Reader Offer: Follow in my footsteps and fly with LAN for a 10-day Ecuador & Galapagos journey of discovery with Metropolitan Touring at the special rate of US$4,510 per person (saving US$2,462 per couple). Quote #HappyInEcuador when booking. Great info and wonderful to learn more about Quito. I have been wanting to visit, especially since flights go to Galapagos from Quito. Wonderful to see what sites are around and what to experience. Chocolate seems to be a huge part of South America.